Uganski Roll-Off Services is a long-standing leader West Michigan. We offer a full spectrum of services to ensure your experience with us is as easy and affordable as possible. Uganski Roll-Off Services is your best source for renting a dumpster in the West Michigan area. Due to our expansive depth of inventory in both containers and trucks, we can quickly and efficiently meet your needs. Our established scrap yard has been operating since the 1970s. We can handle and process any exchange from spool of wire to a full truckload. We will purchase your scrap metal and payout top dollar. Give us a call at (231) 206-7383 OR 833-UGANSKI to schedule a dumpster to be delivered to you today. We are open Monday – Friday from 8:00 am to 4:00 pm, Scrap yard is open on Saturday from 8 am to 12 pm. Holiday hours vary, please call for those. Uganski Roll-Off Services is the leader in reliable dumpster rental in West Michigan. We deliver dumpsters to your location within 24 hours. We can provide you with a dumpster container that ranges from 10 to 40 yards. Uganski Roll-Off Services is also your best location to recycle your scrap metal. We pay top dollar for all scrap metal that we accept. We serve the West Michigan area with dependable dumpster rental and scrap metal purchasing at the top dollar. Did we miss you on the list? Call for a quote today! Uganski's operates with the utmost attention to our customer's needs at the highest level of customer satisfaction possible. We appreciate our customers and understand the projects which require our roll-offs can sometimes be time sensitive as well as stressful. 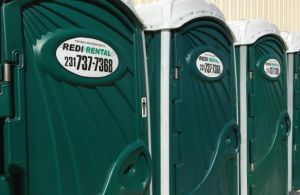 Portable restrooms are available for you to rent for your construction site, festival, or any type of project and special event in Muskegon county and along the lakeshore. Rent portable restrooms for the construction project! When you call we will put you in touch with our Restroom pro! 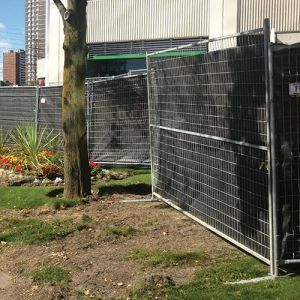 Uganski's can provide temporary fencing for all construction, security, and special event needs. To get a quote or place your fencing order today, please call us!